There is no perfect Mexican meal without delicious guacamole! Every time I make burritos or any type of Mexican food I always make my own version of this green goodness. 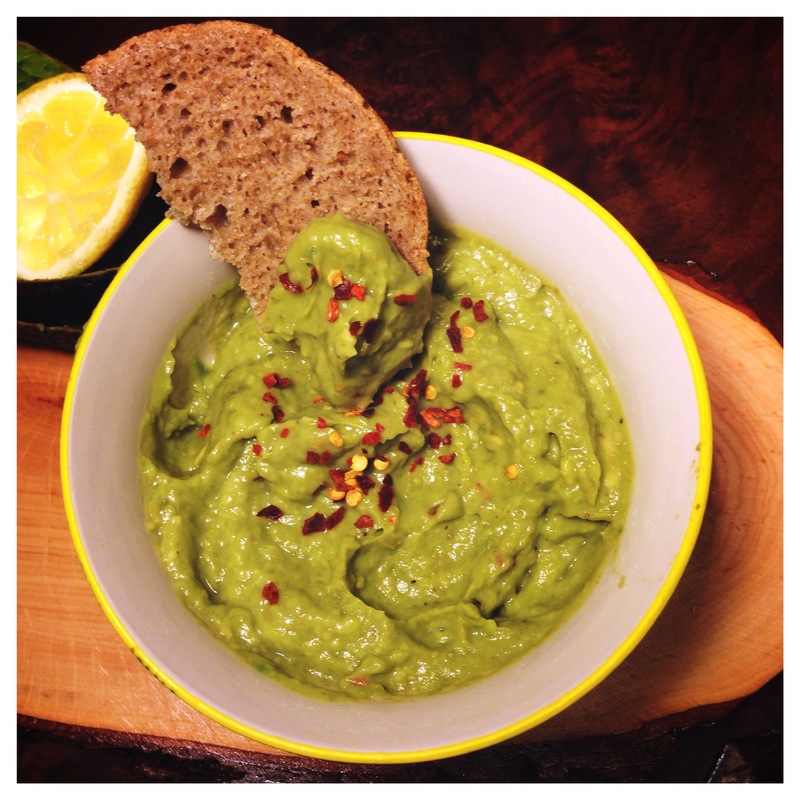 In fact guacamole is something that is present in my fridge all the time because I love having it with snacks and salad too! I have tried many recipes but this one is my ultimate favourite, although is probably the one that requires most effort. 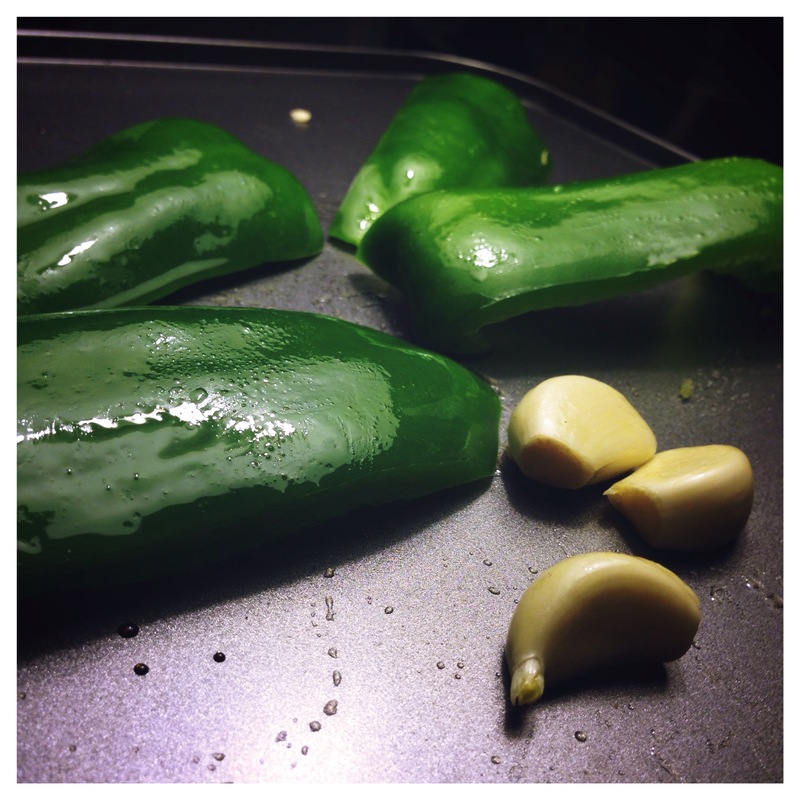 In this recipe I’m including roasted green pepper and roasted garlic. The roasting itself is not really a major effort but after that we have to pop the peppers into a plastic bag for few minutes so the skin is easier to remove. I know it sounds like a hassle but trust me it’s worth it!! 1. Preheat the oven to 200C. Cut the pepper into 3/4 large chunks and brush with olive oil. Roast together with garlic for about 20-25 minutes. Garlic only needs about 10 minutes so you will need to take it out earlier. After peppers are roasted place them in a plastic bag for about 5 minutes. 2. 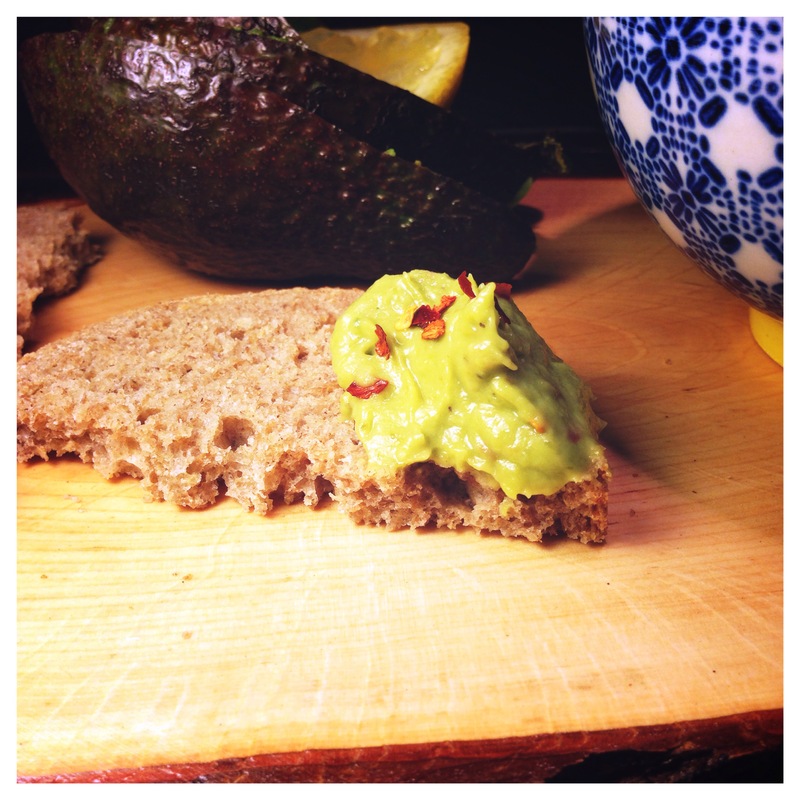 Spoon the avocado into a bowl, crush in the roasted garlic and lemon juice. Peel the peppers and add into the avocado. Give everything a blitz with a hand blender until smooth. Season with salt and pepper and sprinkle with chilli flakes at the top. Passionate about cooking, traveling and mad about gin!! That looks delicious! I might give that one a try. Thanks Lulu! I hope yiu will enjoy it!! this looks fantastic! 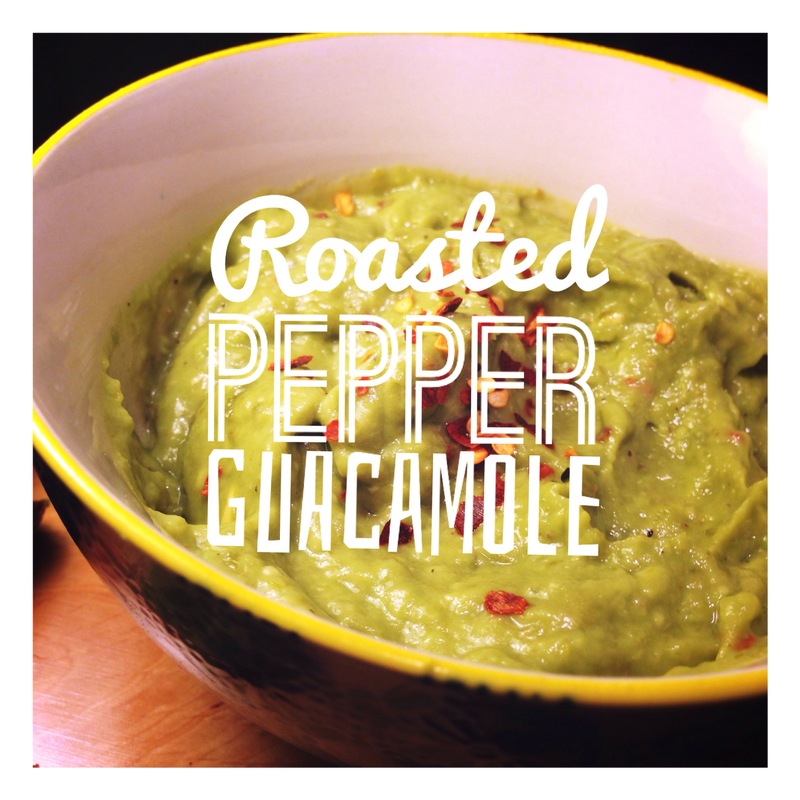 i bet the spiciness of the peppers plays very well against the mildness of the avocado… now i’m craving guacamole! 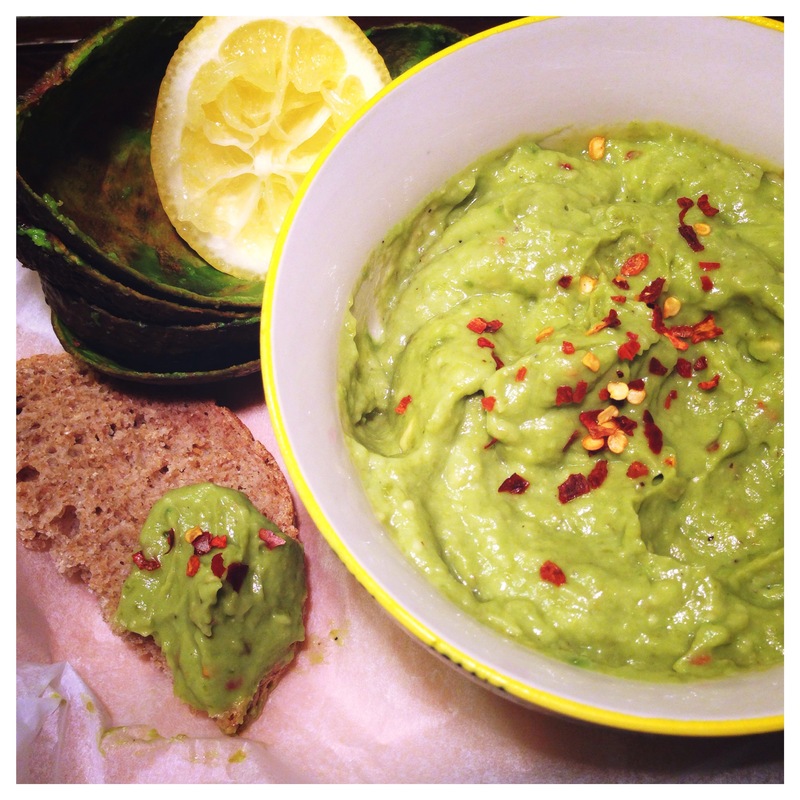 This looks great, homemade guacamole is so much better than anything you can buy. I will definitely try adding some roasted peppers next time!